The Cuisinart is something that I've had on my kitchen counter for 40 years. I still have my original machine. It is used several times a week if not more, and I've only had to replace the bowl one time. I've had to replace almost everything else, buy not my beloved Cuisinart! I use it for my daily chopping and mixing chores, when it's appropriate. 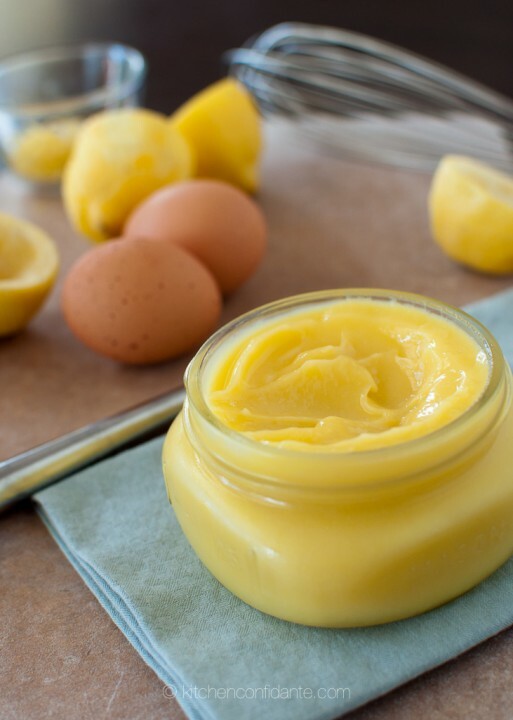 Lemon curd is perfect for the food processor or blender. The recipe is pretty much fool-proof and the food processor makes it easy. Combine ingredients into processor bowl and whirl until mixture is smooth (ish). It will look curdled and lumpy, but don't worry. Pour into saucepan and cook on medium heat until thick and glossy, stirring constantly. It will only take 5 minutes or less. The consistency will be more like gravy, but as it cools, it will thicken. Store in a covered container in the refrigerator, where it will thicken even more. If I'm serving this in the evening I will make it in the morning. I'm sure this would last a week in the refrigerator, but it's never lasted that long. It's great over cake or fruit, even on toast!